Thru 9/20, Ragu Pasta Sauces are priced at $1.67 each at Giant. Plus, you can get 1 Free when you buy 3. 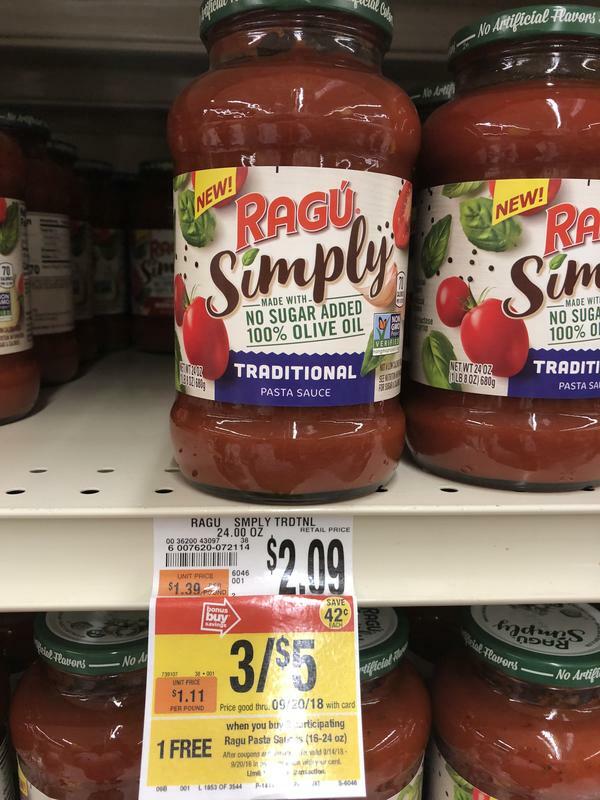 Combine a couple of Ragu Pasta Sauce coupons with this deal to pick up Ragu Simply Pasta Sauce for as low as $0.31 each. Note: Ragu coupons are limit two per shopping trip.